The Ministry of Drinking Water and Sanitation, Government of India, is headed by the Cabinet Minister, Drinking Water & Sanitation. 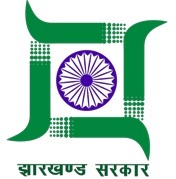 It is the Nodal Ministry for the overall policy, planning, funding and coordination of two flagship programmes of the Government of India, namely, the National Rural Drinking Water Programme (NRDWP) for rural drinking water supply and the Swachh Bharat Mission (Gramin) [SBM (G)] for sanitation in the country. every household as well as public/community institution(s) using safe technology option for disposal of faeces, as defined by the Ministry. The National Rural Drinking Water Programme (NRDWP) is a Centrally Sponsored Scheme aimed at providing every person in rural India with adequate safe water for drinking, cooking and other domestic basic needs on a sustainable basis. Safe water is to be readily and conveniently accessible at all times and in all situations and therefore, the scheme focuses on the creation of the infrastructure. This has resulted in in the provision of significant additional resources to the sector and for the development of infrastructure and capacities for the successful operation of drinking water supply schemes in rural areas.